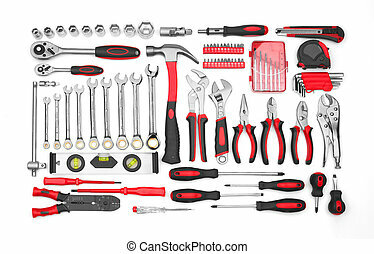 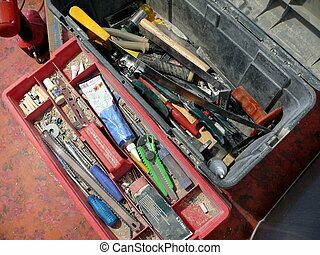 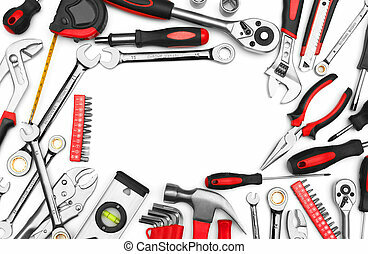 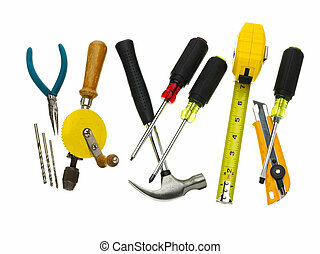 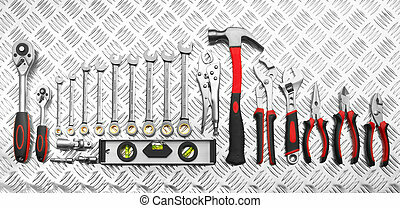 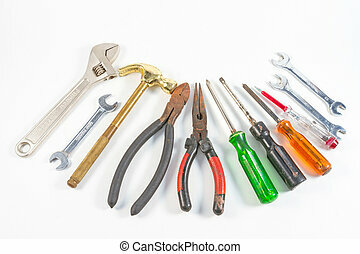 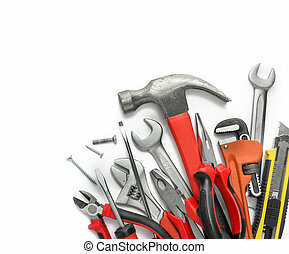 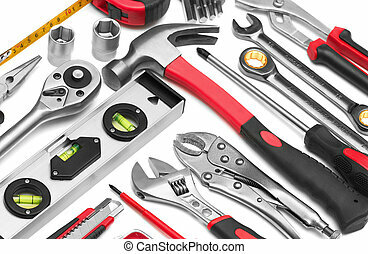 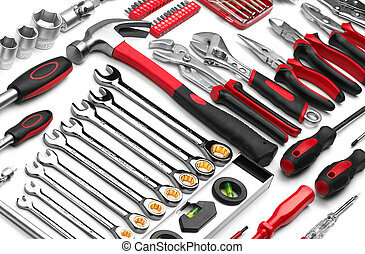 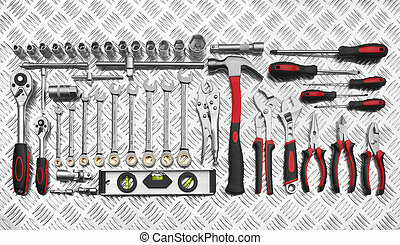 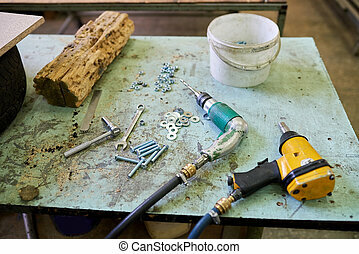 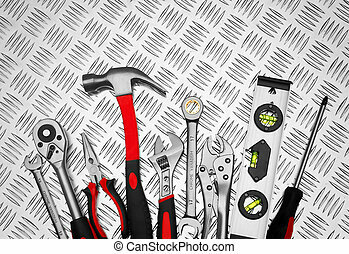 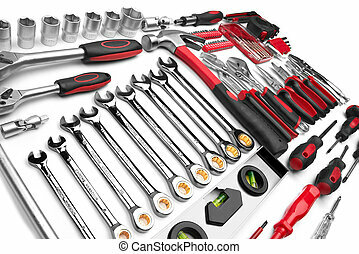 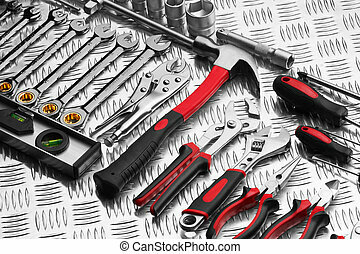 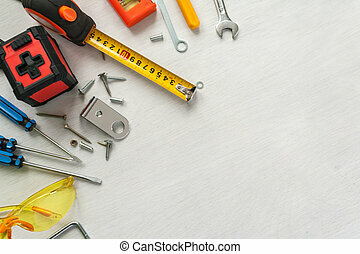 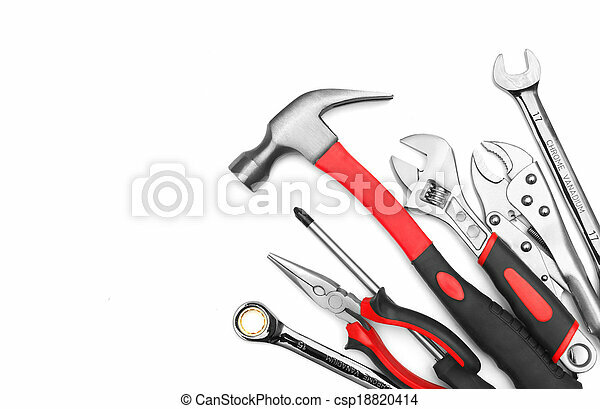 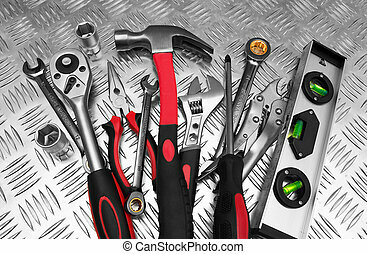 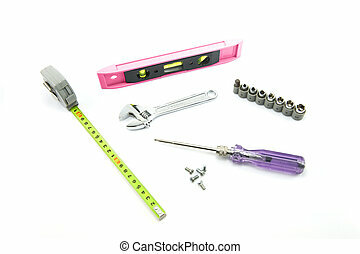 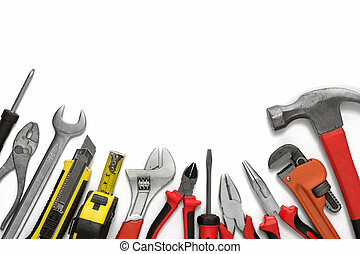 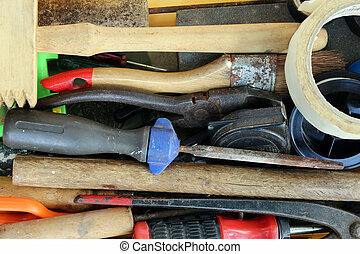 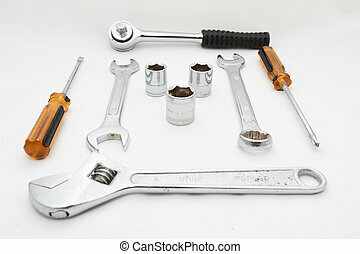 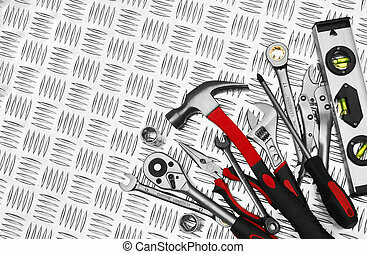 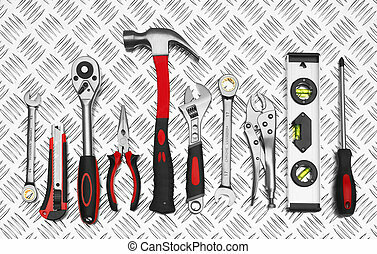 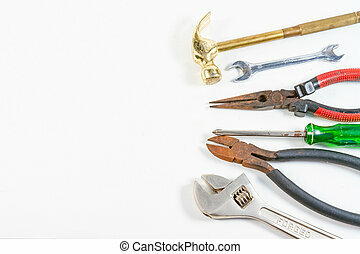 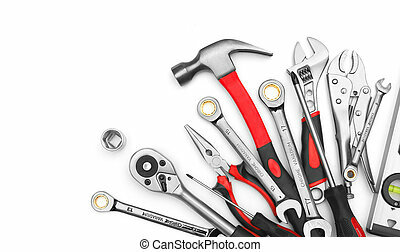 Many tools on white background. 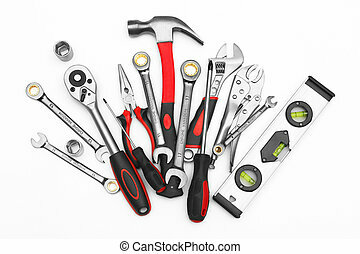 Many tools on the table. 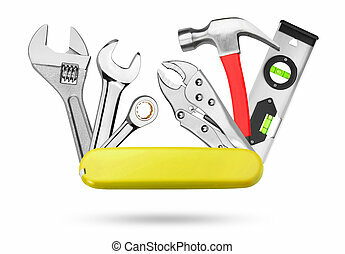 Drill and screwdriver.